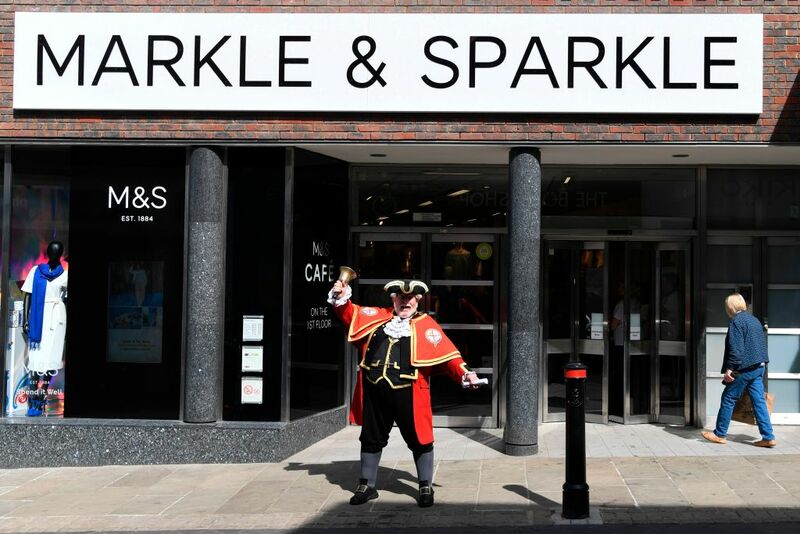 As this weekend’s royal wedding continues to seep into every area of everyone’s lives, high street shops are also getting in the spirit for the big occasion. As you’ve probably already seen, hundreds of miles of bunting will adorn shops and hang from lamp posts up and down the country. One high street store, however, seems to be willing to go just that little bit further to get in on the action. 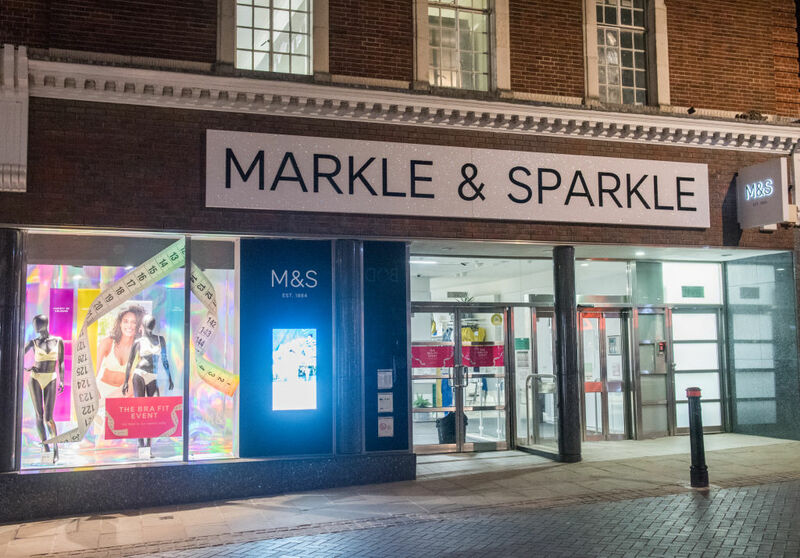 Marks & Spencer will, for one weekend only, be changing its name to Markle & Sparkle. The store will be changing its famous signage to celebrate the wedding, and will deck itself out in the colours of the Union flag. The recently married Percy and Penny Pig will also be on duty to cut the ceremonial ribbon. 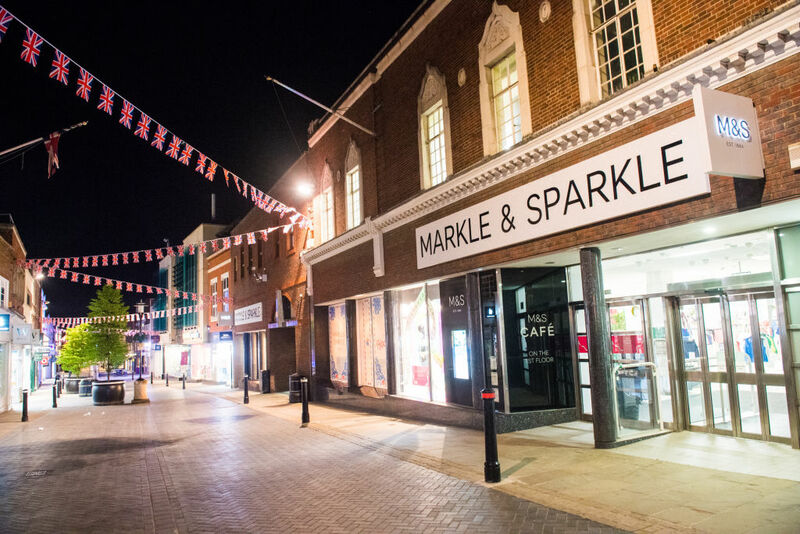 Howver, as Metro reports, it’ll only be the Windsor branch of M&S that’s deemed worthy enough for the full makeover because, y’know, that’s where Harry and Meghan definitely do their shopping. As a quintessentially British brand we had to do something special to mark the royal wedding, and what better way to welcome Meghan to the family than to ‘marry’ both our names together for the weekend. As a retailer, we’ve celebrated 34 royal weddings over our 134-year history, but this is the boldest idea we’ve delivered yet. We wanted to spark a smile from Harry and Meghan on their big day and capture the excitement and celebratory mood of the nation on receiving a real-life Hollywood princess into our royal family. However, being the staunch traditionalists the Royal family are, as Meghan joins the family, she’ll be changing her title and, for all intents and purposes, be losing the ‘Markle’. Shame really, everyone loves an alliterative name, right? 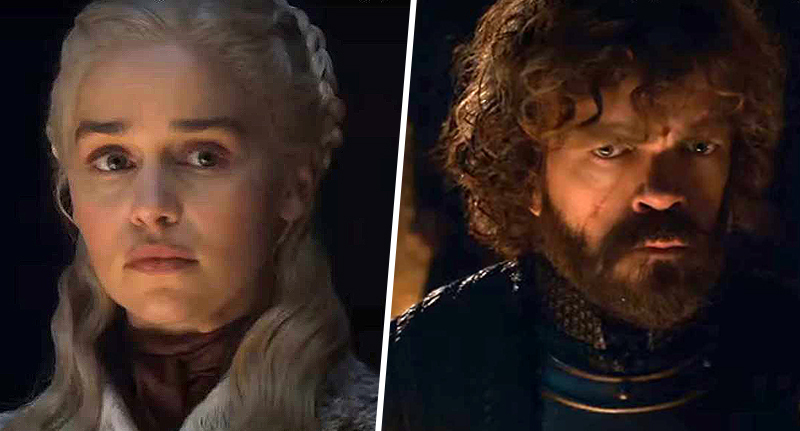 So what will her title be after the big day? Well, Meghan won’t actually be known officially as Princess Meghan. Only those born into the family – like Princess Charlotte – get this official title. Queen Elizabeth II will most likely dish out a dukedom to Prince Harry, much like she did for his older brother, the Duke of Cambridge, after he tied the knot. 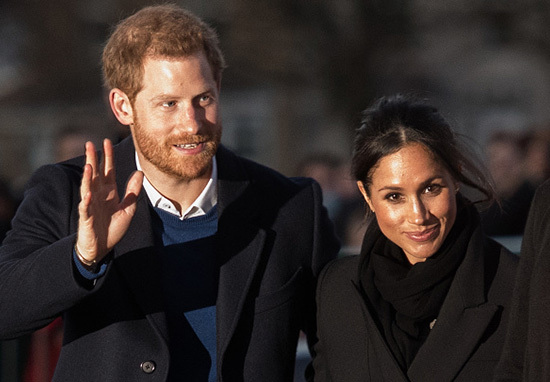 According to The Telegraph, it’s widely believed Prince Harry will be given the title, Duke of Sussex, with Meghan therefore becoming the Duchess of Sussex. If this comes to pass, then Meghan will be the first ever person to hold the title of HRH The Duchess of Sussex. The only other Duke of Sussex was twice married, however his father, George III, considered both marriages to be unlawful. Although she won’t technically be Princess Meghan, it’s highly likely she will be referred to affectionately as such by the general public, just like Princess Diana before her. Duke and Duchess of Sussex? What will Meghan and Harry's Royal titles be?